Sterling (IL), United States – Sterling Systems & Controls, Inc. is a manufacturer of custom micro, minor and bulk weighing and ingredient batching systems. What’s special about Sterling Systems is that the company develops customized systems so that customers get what they want and need, the way they want it. Often times Sterling Systems deals with designing these material weighing and ingredient batching systems for handling very dusty, difficult to handle and hazardous materials. Dust containment and control is essential to protect customer personnel and equipment. Routinely custom designed, manufactured and provided in Sterling’s systems is a dust control and containment option. This incorporates a dust collector (usually a baghouse design), dust collector hoods over material ingredient bins and batch hopper(s) feeding apparatus, and ducting to the collector, which can be located inside or outside the customer facility. 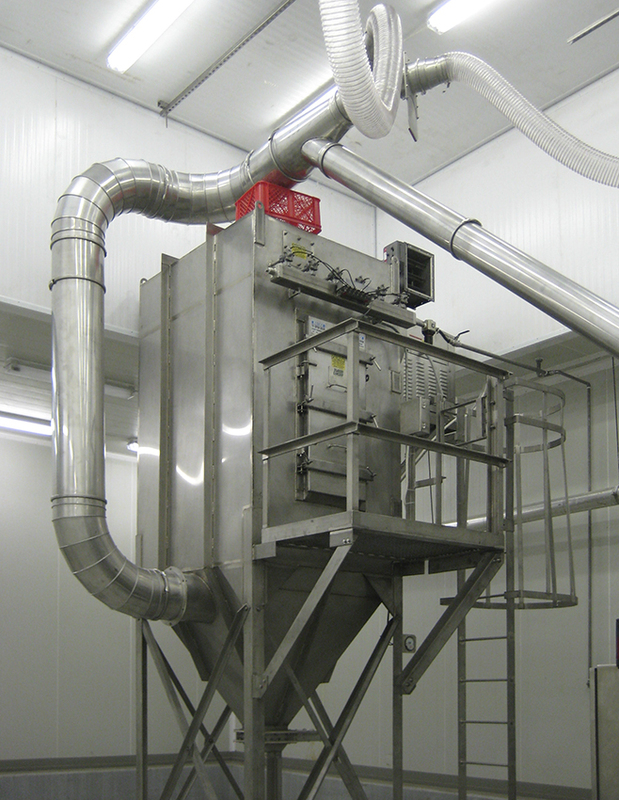 Dust collection hoods can be provided for each ingredient system bin or a traveling dust hood with flexible tube connections can be used. 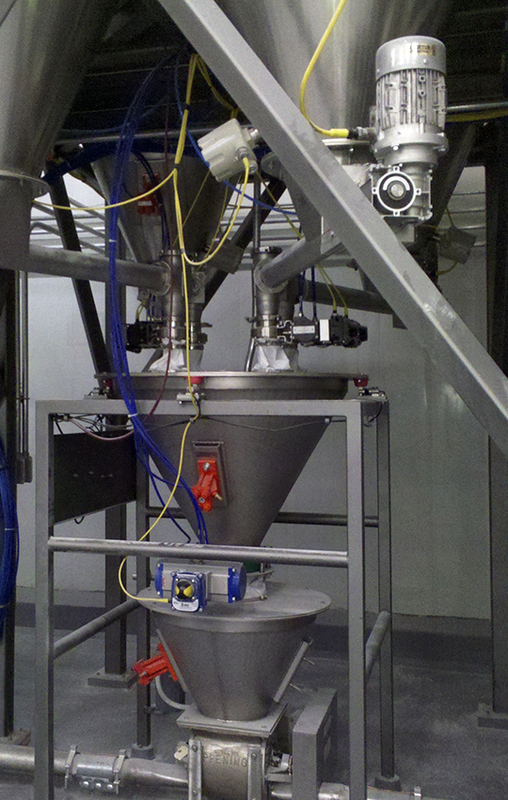 Transporting batches to the next step in the production process, typically to a mixer or blender, can be done in one of several ways including use of a conveying system, mechanical or pneumatic. Pneumatic systems, often vacuum systems, are often used when continuous feeding is desired or where the pneumatic method is most efficient and affordable. Information on the Ingredient Batching Systems using Dust Collection and Pneumatic Conveying is available from Sterling Systems & Controls. With more than 45 years of experience providing efficient solutions for material weighing, batching, process controls and automation, process equipment, bulk bag unloading and loading systems, Sterling Systems & Controls’ designs utilize the latest technology to provide specialized data management, raw material management, and production data tracking.